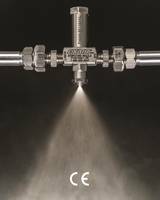 The No Drip External Mix Atomizing Spray Nozzles are offered in round, narrow angle flat fan and wide angle flat fan patterns with 1/8, 1/4 and 1/2 NPT inlets with interchangeable liquid and air caps. 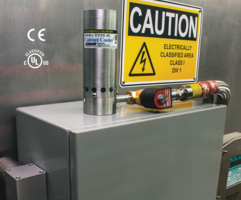 The units positively seal off the flow of liquid when the compressed air supply is shut off. The nozzles are suitable for applications such as painting, coating, rinsing, cooling, quenching, wetting, dust control and humidification. 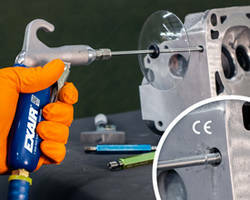 EXAIR’s new 1/8 NPT No Drip External Mix Atomizing Spray Nozzles mix liquid and air outside the nozzle and allow the air and liquid flows to be adjusted independently. The new, patented No Drip External Mix Atomizing Spray Nozzles work in the same way our standard atomizing nozzles do, but have the added benefit of positively stopping liquid flow when compressed air is shut off. 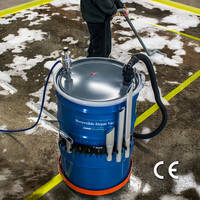 Applications include painting, coating, rinsing, cooling, quenching, wetting (moistening), dust control and humidification. 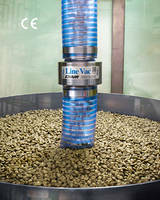 The compact Atomizing Nozzles are fully adjustable to minimize air and liquid consumption and have interchangeable liquid and air caps. They are CE compliant and conflict mineral free. Prices start at $332. 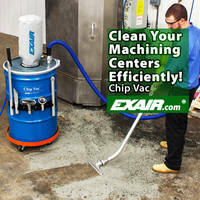 Learn more at www.exair.com/1_8ndextmix.htm.